For years, the speculation has been that lead poisoning played a major role in the deaths of the expedition's members. However, the new research suggests that wasn't the case. "I would suspect that their problems probably multiplied as time went by," said Tamara Varney of Lakehead's anthropology department, who was part of the research team that looked into the subject. "Their food would have been limited, so they would have been starving. They would have had nutritional deficiencies." "And any health problems individuals would have had going into the expedition that maybe weren't a problem at the time, I imagine as time went on those would have become more magnified and manifest." Franklin and his men set sail from England in the summer of 1845 aboard two ships: HMS Erebus and HMS Terror. Their goal was to finish charting the Northwest Passage, which would serve as a trading shortcut between Europe and Asia. 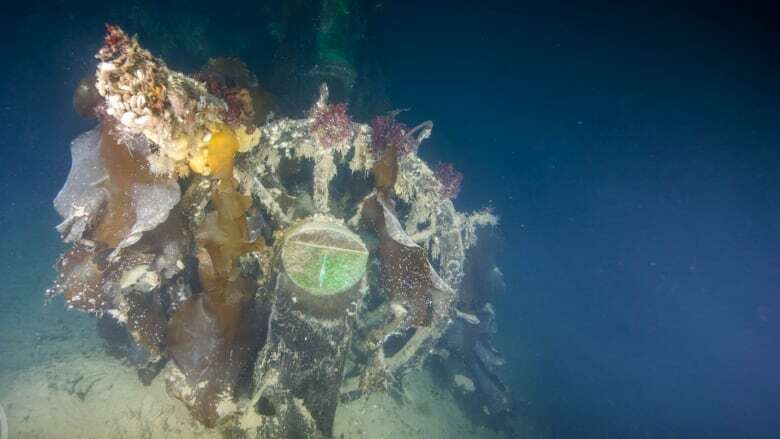 "They got into part of the Northwest Channel near King William Island, what happened was they ended up wintering in 1845 at Beechey Island, where a few crew members died," Varney said. "Most people are very familiar with those, because they were preserved really well in the permafrost and they were excavated." "The following year, the ships became stranded in the ice off King William Island, where they remained for about two years," she said. "Then, in 1848, the crew, who were down from 128 to 105, tried to make a, basically, escape across the mainland to a Hudson's Bay fur post, presumably on Hudson's Bay, and they didn't make it." Varney said one hypothesis states that lead poisoning, possibly from the tins their food was stored in, or the water filtration systems the Terror and Erebus used, was a major factor in the deaths of the men, Varney said. Another bit of evidence for that idea was "odd behaviour" reported by Inuit people who encountered the expedition's members, she said, which was thought to be caused by excess lead. But the new research — Varney was one of 11 researchers from Canadian universities working on the project — casts doubt on the idea. Varney's background lent itself to the project. She had been working in the Caribbean, examining a former British naval site and excavating a historic naval hospital cemetery that was being disturbed by housing developments. She was investigating whether rum drinking was a cause of lead poisoning among members of the navy. "It was thought that rum was potentially a large source of lead poisoning just because of the way it was distilled," she said. Meanwhile, David Cooper, a colleague of Varney's, was working at the University of Saskatchewan, studying how elements are distributed within bone. Cooper contacted Varney and suggested the two work together. 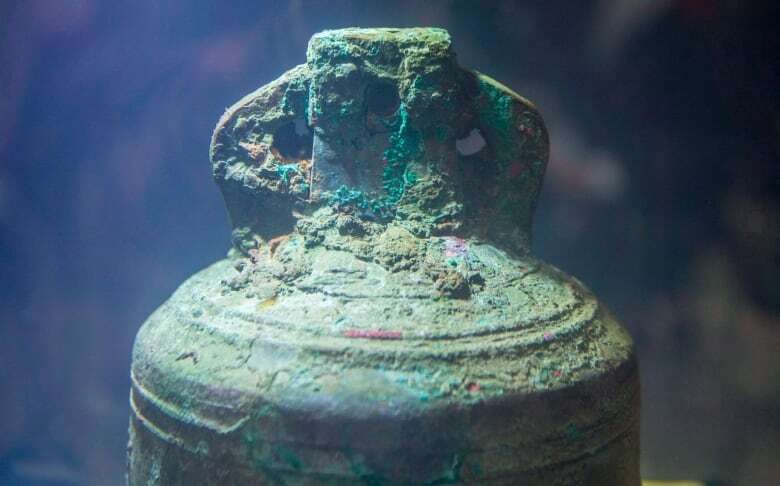 They then connected with researchers from Western and Trent universities, who had access to some of the Franklin Expedition members' remains — not all have yet been discovered, Varney said — and the result was this study. If elevated lead levels were a factor in the members' deaths, the team thought the longer-living members of the Franklin expedition would have higher lead levels than those who died during the first winter on Beechey Island. The team thought lead levels would be higher in bone microstructural features that formed close to death, when compared with older tissue in the body. The team hypothesized that if lead poisoning was a factor in the deaths, the lead levels in Franklin Expedition members would be higher than those of contemporary British Navy populations that were located elsewhere at the time. Imaging technology allowed the team to examine lead distribution within the bones and dental structures of the remains of Franklin Expedition members. The imaging did not support the team's first and third hypotheses, Varney said. All the remains, no matter when the expedition member died, had similar lead levels in their bones. There was some support found for the second hypothesis, Varney said, with indications the expedition members were absorbing lead close to their deaths. "But it wasn't really consistent," she said. "There were bone structure that near the time of death that definitely showed lead exposure. But then, there was an equal number that didn't show lead exposure." "So even that doesn't completely support the idea that they were absorbing a lot of lead toward the end of their lives." As for the third hypothesis, Varney said results showed the Franklin Expedition members didn't have elevated lead levels in their bones when compared to other members of the British Navy who were not part of the expedition. With regards to Inuit who reported seeing the expedition members behaving oddly, Varney said that wasn't necessarily due to lead. That, she said, is "probably not surprising when you've been stranded for two or three years, and you don't have a lot to eat, and you're really cold." The team's findings were published last week in the PLOS ONE journal. 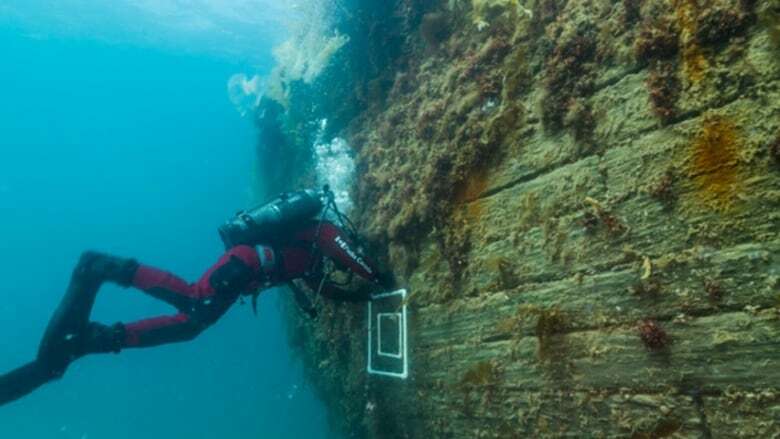 Parks Canada continues to study the wrecks of the Erebus and the Terror. The Erebus was discovered in September 2014 south of King William Island in Nunavut. The Terror was discovered two years later in Terror Bay.